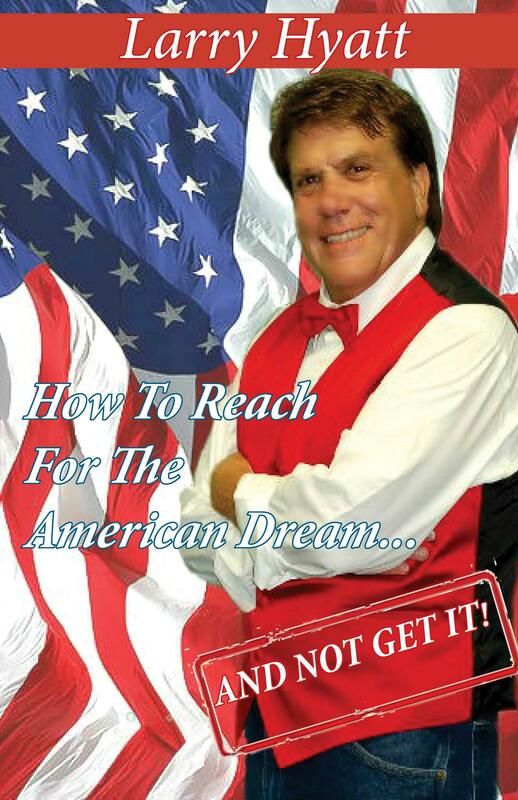 Today I welcome Larry Hyatt on a RAVE REVIEWS BOOK CLUB “SPOTLIGHT” Blog Tour featuring his book, How to Reach for the American Dream… (And not get it). Take it away, Larry! Are My Struggles The Same? In group therapy as a kid they thought I didn’t take it seriously because I saw the humorous side of all us kids with problems. Trying to explain why I was a people pleaser, hated conflict to a fault, and had the fear of impending dome was easy for me. I went with self-deprecating humor. We were all supposed to be freaking crazy anyway. Through the years though I learned there is a time and a place, to know your audience, and don’t attack someone’s faults unless they know they have a big nose. It’s also good to know that they don’t have a problem with knowing they have a big nose. I don’t blurt out in an employee meeting. Having to be PC isn’t easy. But now that I try to write Humorous Fiction and I never know how much comedy and how much fiction go together. In Humorous Fiction novels you have to paint a picture to go along with it and that’s where I get confused. How many shades of green do I have to convey without destroying the joke? In some cases I’ve edited down to the title and that doesn’t make for good reading. As far as I’m concerned, I write for the person who doesn’t like to read, so, there. They call it “Humorous Fiction,” and Humors Fiction I’m told should start with good fiction. Then they should call it “Fiction with Humor,” but that would be too wordy. See my dilemma? How much should a writer inject? Can there be too much? I would think with too much it would be monologues such as Ellen DeGeneres or a comedian writing down their stand up routine. I guess the good “Humorous Fiction” authors know, and guys like me have to figure it out, writing for people who don’t read. Self-deprecating, I learned it first. Larry Hyatt has written radio comedy, sketch comedy and plays, produced television and radio, worked as a creative director for an arts and entertainment magazine, and published numerous humorous articles and essays. Originally from New Orleans he’s a former graduate of the New Orleans Center for Creative Arts and attended Loyola University’s School of Music as a vocalist, went into radio broadcasting, has been a nightclub in house entertainer (Where he did theatre in a bar), produced and hosted television shows for LCN-TV, and started an entertainment magazine called the “The Tri-Parish Navi-Gator,” featuring theatre, music, dinning and the arts in South Louisiana. 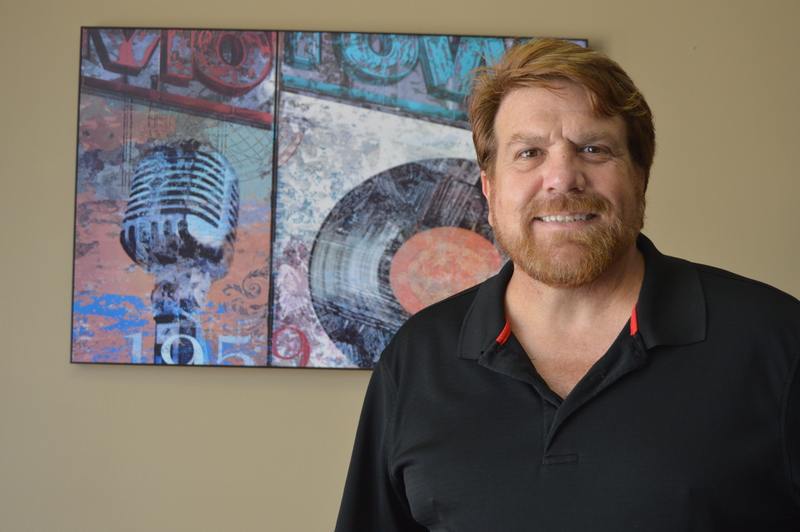 He hosts “Larry Hyatt is the Morning” on C-96.7 KCIL Radio in Houma, La. Book Blurb: How to Reach for the American Dream… (And not get it), is the fictional, comedic account of the life of an entertainer who from childhood had what it took to “make it.” You’ll laugh, cry, and cheer him on as he struggles to achieve what only a select few can through his television kid show debut, glee clubs, remedial college studies, gaining weight as a “starving” artist, dating women out of his league, nightclub entertainer, and romps through radio, television, and publishing. Congratulations to Larry on being in the “SPOTLIGHT” with RAVE REVIEWS BOOK CLUB. Please take a few moments and look over the book. Please share your thoughts and ideas in the comments section. Sign up for my Archer’s Aim Digest mailing list to receive the forthcoming edition of my newsletter with announcements about upcoming releases and events. You’ll receive my a FREE coupon for my short story e-book, The Black Bag which contains a sample chapter of The Bow of Destiny. You’ll also be the first to have news about my books, especially some free offers this summer related to the upcoming release of The Bow of Destiny, the first novel of The Bow of Hart Saga. Speaking of which, it is now available for pre-release orders on Barnes & Noble, Kobo, iBooks (via the iTunes app) & NOW Amazon – Kindle. Additionally, August’s free e-book: Trading Knives is now available on　Kobo, iBooks, Smashwords, Barnes & Noble & Amazon.